Hi friends! I feel like it's been forever since I posted. I went on vacation to see my family and help out with my brand new nephew. 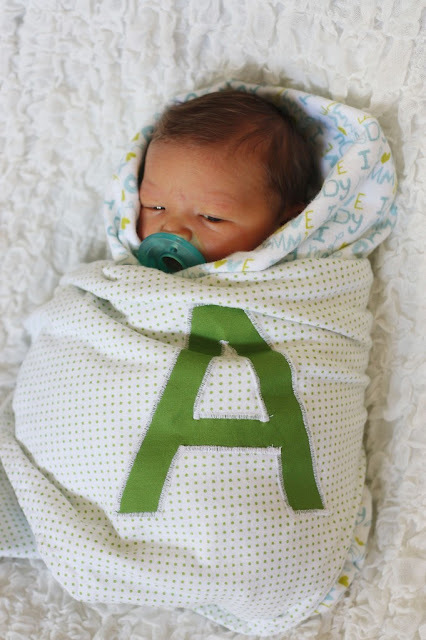 I had grand plans of juggling everything and blogging while I was gone but I just couldn't manage to put the cute new baby down long enough to type anything! I do have TONS of fun projects that I did while I was gone that I'm excited to show you. 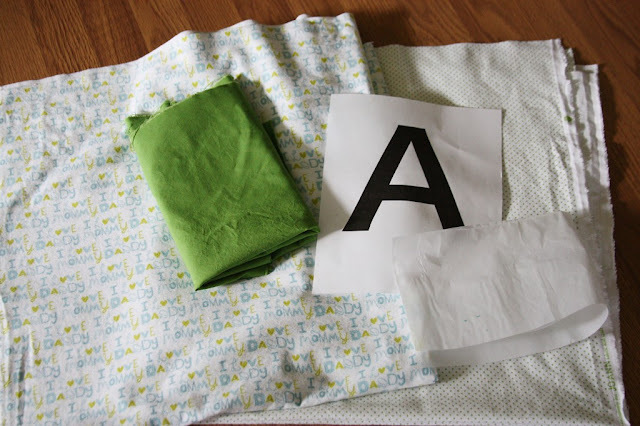 First up I'm showing you how to make a monogrammed baby blanket. 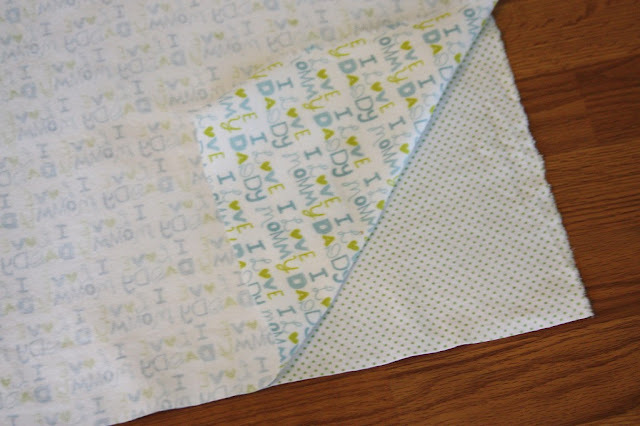 It's my favorite baby gift to give at baby shower. Two pieces of flannel fabric cut 44" by 44". I purchased 1 1/4 yard of each of my flannel fabrics and cut them to size. 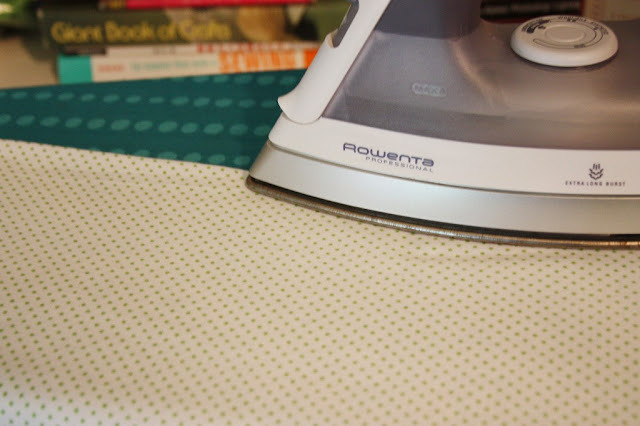 Start with your quilting cotton and heat n' bond. 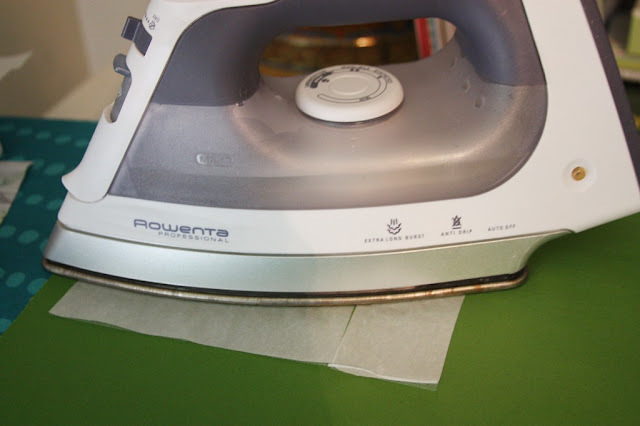 Iron the heat and bond onto the back side of the fabric. 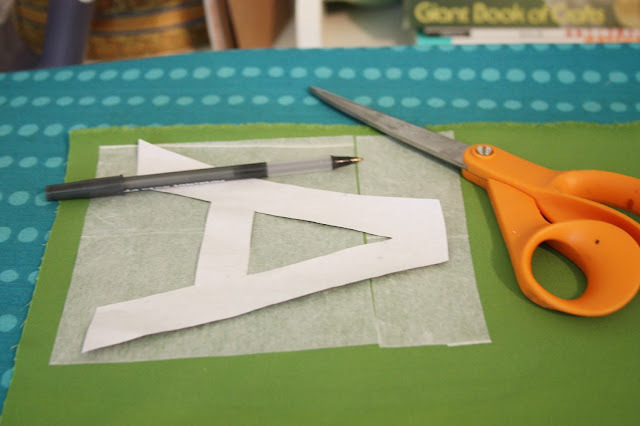 Trace your letter onto the back of the heat n' bond and cut it out. Be sure that your letter is facing the right way! 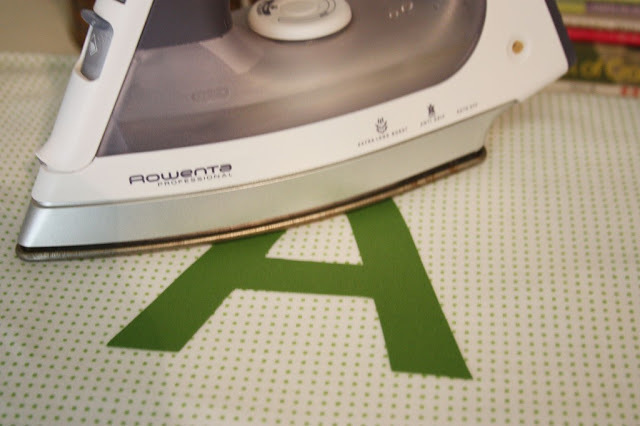 Iron the letter onto the flannel. I chose one of the corners. 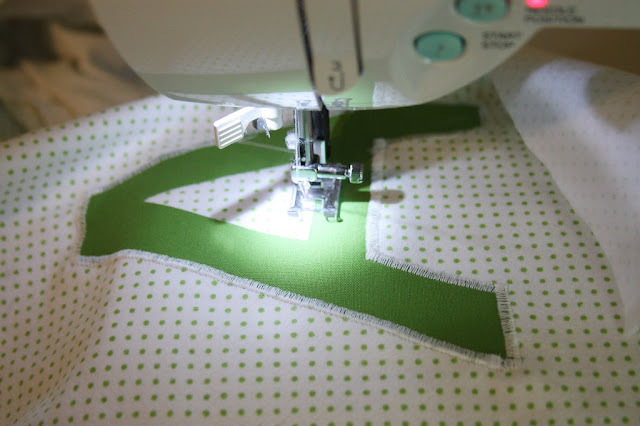 Then use a zig zag stitch to stitch around the letter. 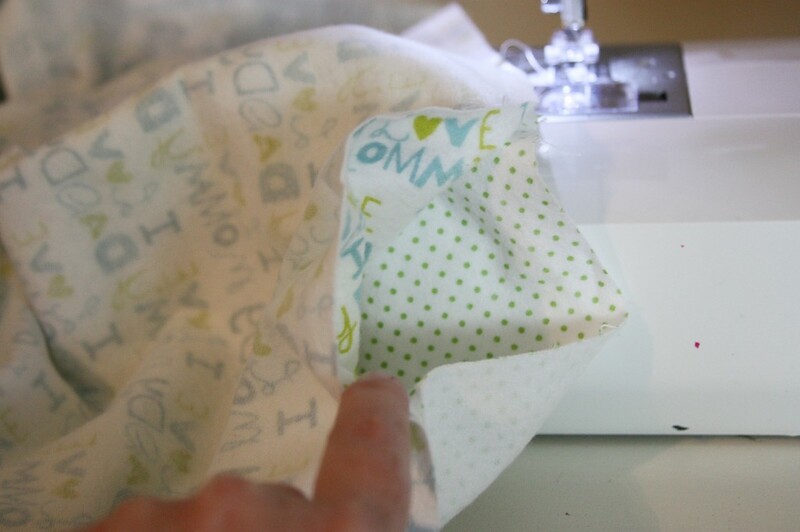 Now your blanket is ready to be sewed together. 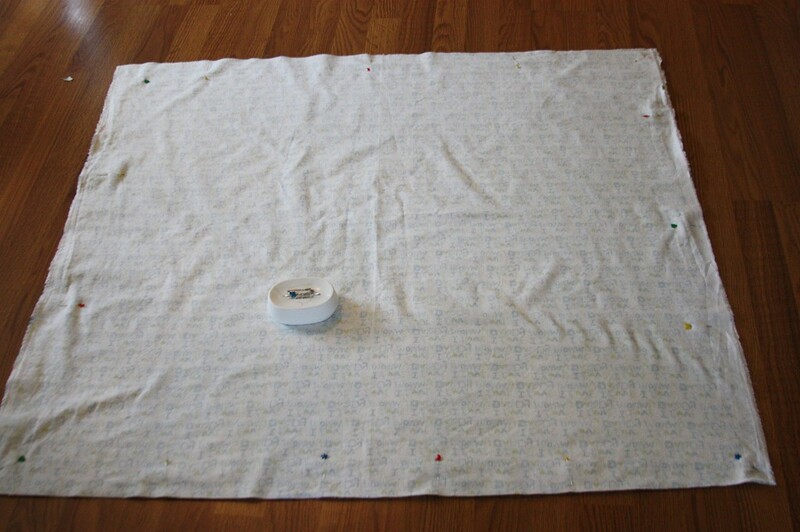 Take your 2 pieces of flannel that are 44" square and place them right sides together. Now sew around your blanket with a straight stitch. 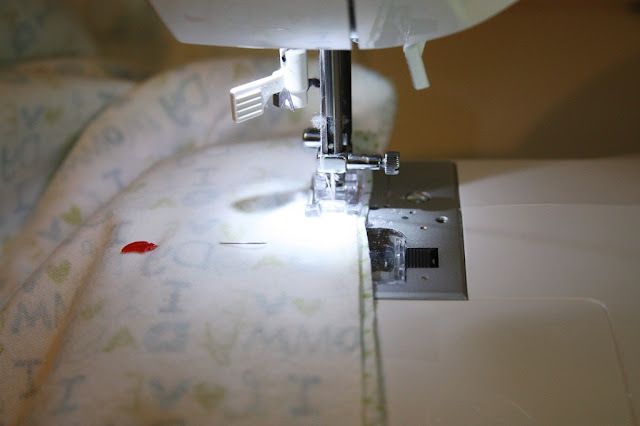 Be sure to leave an opening of about 6-7 inches so you can turn the blanket right side out. Turn the blanket right side out. Once my blanket is right side out I like to iron around the blanket on a low setting. 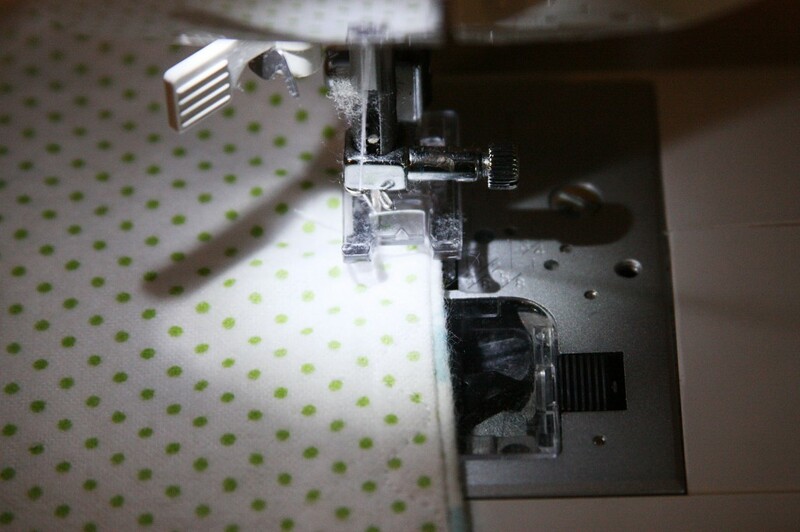 Now sew around the entire blanket so that the 6 inch opening for turning is sewed close. This is the perfect time to use a cute decorative stitch. 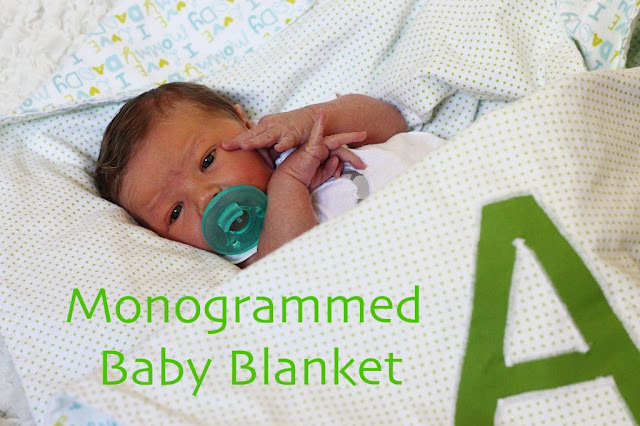 Now just find a cute baby to wrap up! The great thing about this blanket is that it's pretty big so it's great for wrapping babies up but also great for a play mat and for toddlers to drag around. Miss that sweet baby already! So excited to show you some of the other things I made for him!